La Mama Acasa is an Eastern European Restaurant & Takeaway based on 81 Cranbrook Road in Ilford. We serve a wide range of delicious Eastern European food and offer online ordering and table booking. La Mama Acasa is a Eastern European restaurant specialising in seafood, tradition Romanian cooking also pizza, pasta, and grill. Both traditional styles of cooking and modern finesse are celebrated at LA MAMA ACASA allowing us to offer classic dishes to satisfy and innovative meals to delight. The authentic flavours of our dishes have been achieved through the use of the finest ingredients and cooking techniques. Our decor and ambiance has been carefully crafted to provide a first class dining experience that delineates class, comfort and excellence. The décor and ambience in the restaurant have been carefully crafted to provide a first-class dining experience. Classic lines and furniture combine with traditional embellishments and authentic Romanian patterns to create an atmosphere of true luxury in-keeping with the theme of the menu. 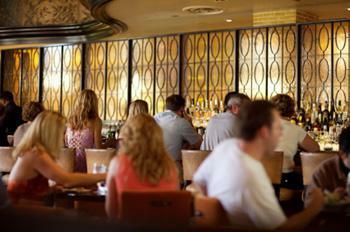 We have cultivated an aura of true class, comfort and excellence in our restaurant. To join us for a tasty meal, please make an online reservation. For those who want to dine or entertain in the comfort of their own home, we also provide a takeaway service across the Ilford area. Browse our takeaway menu, choose your desired dishes and wait for your selected delicacies to arrive, enjoying a taste of La mama acasa exquisite Romanian cuisine in your own dining room. Miniumum order value of £20. Can only be used on www.lamamaacasa.co.uk. Cannot be used in conjunction with any other offer. Join our free gold club and we will give you this voucher for £5 off a food bill over £40. Can only be used on www.lamamaacasa.co.uk. Cannot be used in conjunction with any other offer. Here at La Mama Acasa an Eastern European Restaurant & Takeaway in Ilford, we have a wide range of menu options. Serving delicious Eastern European food, we are sure we have something for you to enjoy. Free Delivery over £15, £1 Charge under £15. Delivery only available to postcodes within 3 miles. Simply incredible. I really love coming here. The atmosphere is great and the people are so nice. Best meal I've had in a long time! This place has got me thinking about it long after I finished my delicious meal. Very memorable experience and plan on coming again, many more times. I love coming here. The food is exquisite and the staff are very nice people.